This is my version of a month review… but just my favorites in March. 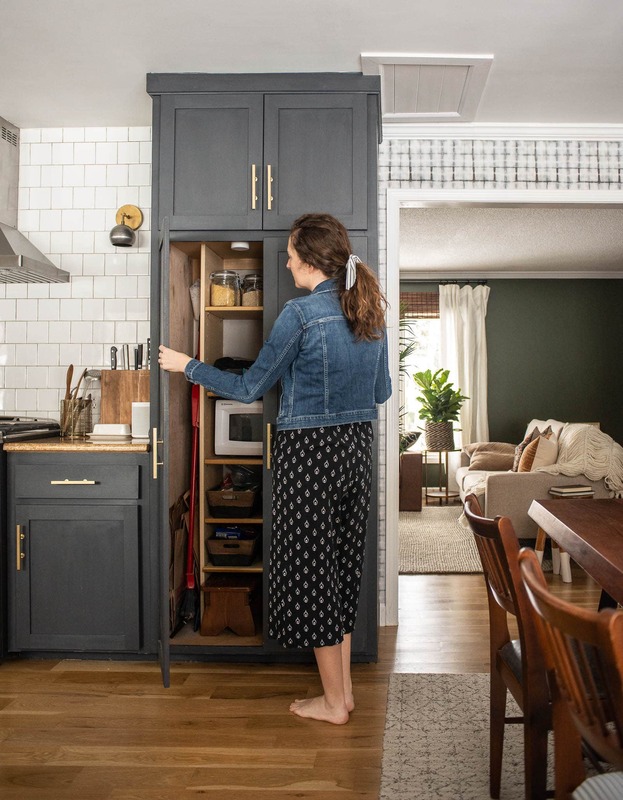 Whether you are here for DIY Projects, family life, traveling, books or something else; I think you’ll find something that sparks your interest in these monthly recaps! I put up a new printable in my pantry. If you have kids, then print out words to encourage kids and hang one up yourself. I finally finished all the dining room chairs. I’m happy to report that we no longer have wobbly chairs! With vintage chairs, we will see how long they stay in great condition. A new update on poster printing (+ check out how much better Greyson’s room is looking). Thinking about wood flooring? I posted all the details about our wood flooring including cost to install wood floors, stain color and more! 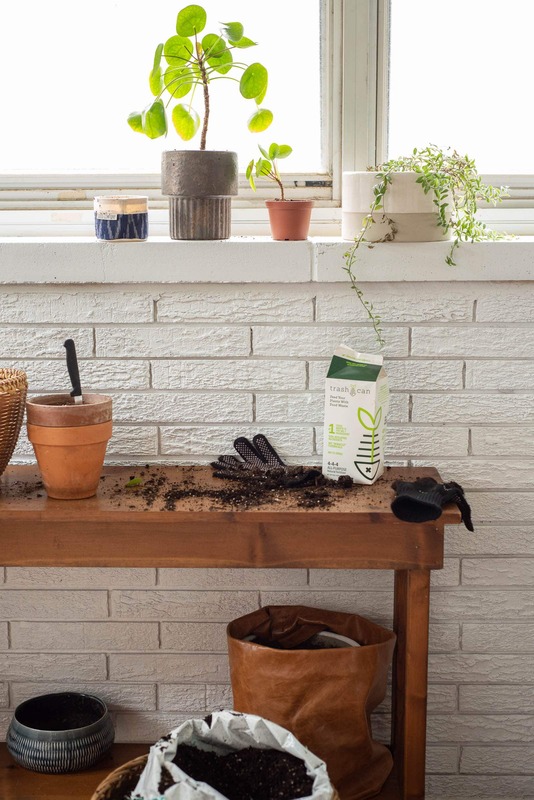 I’m working on a post for you about the mini planting area in my sunroom. I worked with Trashcan again this year (use the promo code: BIGGER10 to get a 10% discount on Amazon) and that sparked a new, amazing use of a corner in my sunroom. I’m so excited about this change. We went to St. Louis for part of spring break and had the best time. 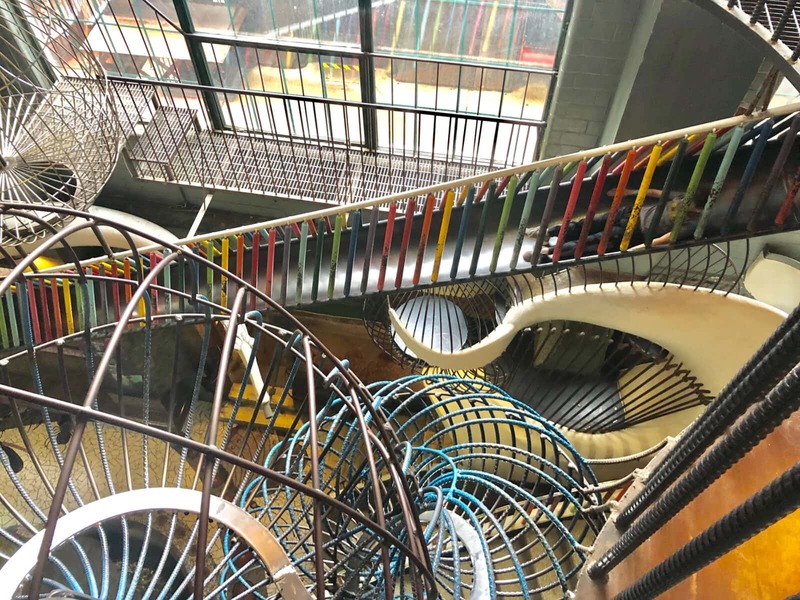 We basically had the City Museum to ourselves, which was so nice. Greyson got to swim at the hotel and hang at City Museum, Luke picked all the food off of his foodie lists that he has and I got to spend an afternoon vintage shopping. It was fun! I need to do another post on What to Do In St. Louis for a Weekend Getaway (see this one that I did last year), because I have so many more places to add to the list! I enjoyed listening to The Fascinating Ways Home Differ Across the World. The open bathroom concept really got me thinking for our master bathroom. I also enjoyed Ugh Consumerism by Cafeteria Christian. My friend and I had just been talking about Amazon the week before, so this one hit at the right time. You might laugh at me for this, but I have a fear of seafood. HOWEVER, I also have a fear of Alzheimer’s and the studies linking seafood consumption with a decrease of your likelihood of Alzheimer’s are just too believable. So, on a date night this month, we went out and ordered crab cakes to share. I thought that if they were covered in a red sauce, I might be able to eat them. LOL. They actually weren’t bad! I’m going to try to eat more and more. 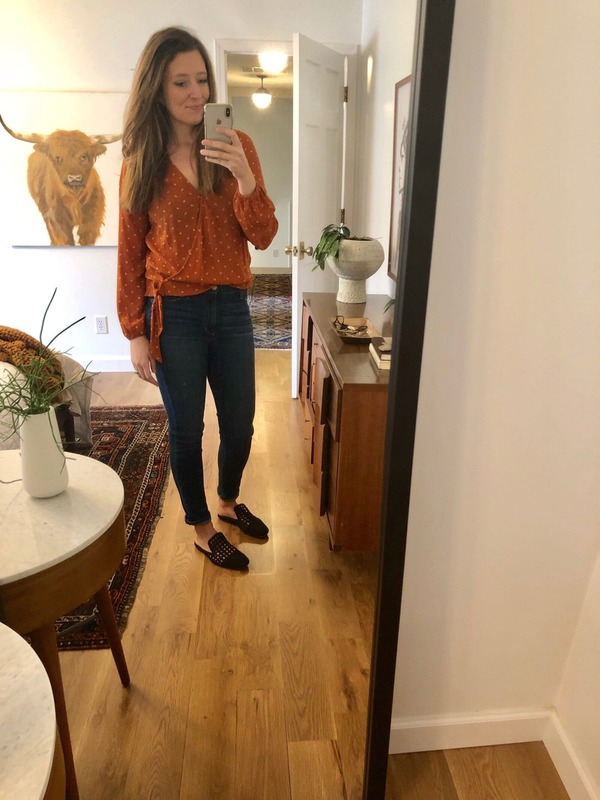 Also, this date night outfit was on repeat a few times this month. I added a few new things to my wardrobe this month. 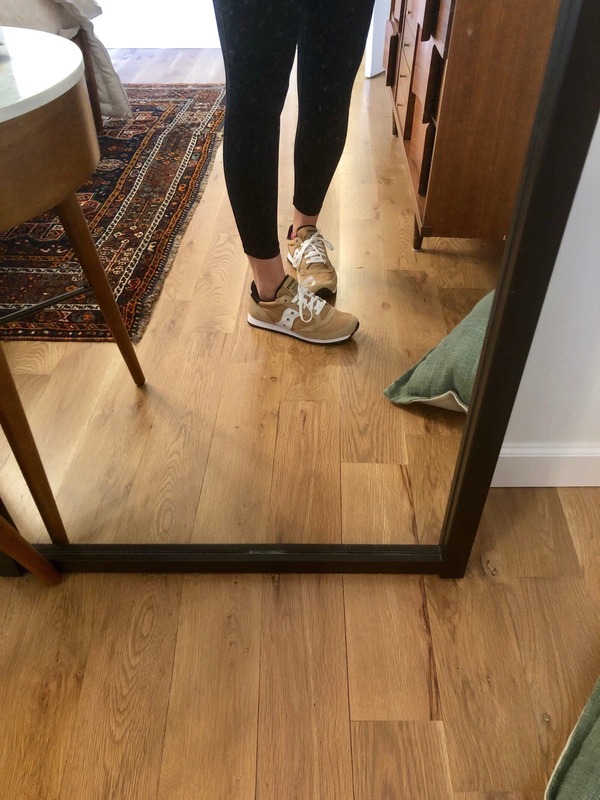 My favorite tennis shoes were 50% off and the one’s that I had in my closet have a hole, so I got a new pair. I stopped at a few vintage stores this month and took home some treasures. I got a beautiful watercolor painting of Venice which holds special meaning because Luke and I went there for our first international trip (BEFORE SMARTPHONES) and had so much fun getting lost. Ha. I also got a beautiful vintage WWII book that is full of photographs and a brass bell garland. I rounded up some similar pieces below if you are interested. I listen to the Gold Digger podcast quite frequently. There’s always nuggets of information but this past month, Joy Cho talked about building a team for her business and it was full of great information. I’d highly recommend it if you are curious about taking the leap with starting a team. I hoped you enjoyed hearing about my favorites in March. If you want to see more of things that I recently enjoyed, check out January Loves and February Loves.